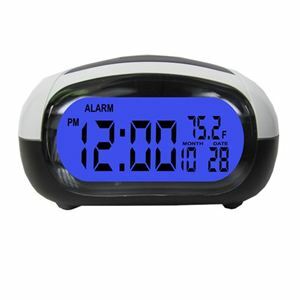 Features large LED display, backlight, loud alarm," easy tap button. Tells you the time and temperature verbally if desired. Operates on 2 "AA" batteries (included). Size is 4-1/2" X 4-1/4" X 2-1/2".